Listen Saturday afternoons at 1:00pm to The Real Estate Today Show with your hosts, local real estate expert Tom Andrew of Andrew Real Estate and Chad N. Davis, Attorney at Law. 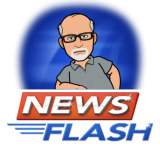 Youâ€™ll hear talk on the latest LOCAL real estate news, information on home buying, home selling strategies, market reports, commercial and home properties for sale plus a variety of guests. Itâ€™s all the insightful information on making your largest investment count. Tom Andrew, Andrew Real Estate (580) 234-1233 or by email at tom@Andrew-RealEstate.com. Andrew Real Estate is proud to help you make Enid your home. We have a longstanding relationship with the Enid community and Real Estate community. Being in business since 1966, we have had the privilege of being involved in many ways on the state level. Tom served as District 1 Vice President and has been on the local board for several years. Tom has also been former President of the local board. We love being involved and staying atop on the latest Real Estate trends. We train our realtors with the same motivation that we have in hopes that they too will acquire the love that we have for our field. Enid is and always will be our home and we hope to help you make Enid your home also! Attorney at Law, Chad Davis (580) 233-2833 or by email at chadndavis@sbcglobal.net. THE LAW FROM PERSONAL INJURY, CRIMINAL, ADOPTIONS, GUARDIANSHIP, PROBATES, WILLS AND TRUSTS AND REAL ESTATE ISSUES. CALL HIS OFFICE TODAY TO SET UP A CONSULTATION. Brian Kilmeade currently serves as co-host of Fox News Channel's (FNC) FOX & Friends alongside Steve Doocy and Ainsley Earhardt. 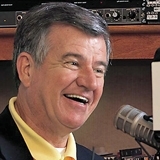 Additionally, he serves as host of Kilmeade and Friends Radio Show heard here on KGWA. Kilmeade joined the network as a sports reporter in 1997. 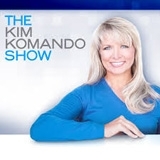 Kilmeade is the author of several books, including New York Times bestseller "The Games Do Count: America's Best and Brightest on the Power of Sports," and "It's How You Play the Game: The Powerful Sports Moments that Taught Lasting Values to Americas Finest." He received a B.A. from Long Island University. 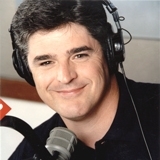 The immensely popular host of the radio talk show â€˜The Sean Hannity Showâ€™, Sean Hannity is more than just a radio or television presenter. The man wears many hats and is a respected political commentator and an author of several best selling books. He is a free-wheeling and candid commentator on American politics and agenda and is regarded as one of the most influential conservative voices in the U.S. With millions of listeners all over the country, â€˜The Sean Hannity Showâ€™ is the second most listened to radio show. A native Missourian, Dana and her family now live in Texas. 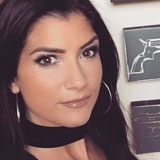 Dana Loesch's Pages: Select a Page Dana Loesch "The Conservative Alternative"
Take flight with America’s #1 Travel Radio Show, Rudy Maxa’s World with The Careys! Informative, Entertaining, Fast-paced, Contemporary and Interactive — the show combines breaking travel news, topical talk, high-profile guests, industry decision makers, audience engagement, tips/trends, honest commentary, straight-forward advice, inside scoop, fun and entertainment, and so much more! 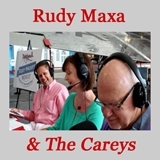 Renowned travel journalist Rudy Maxa, along with the show creators and married travel partners Robert & Mary Carey, easily connect with the you and cover the world of travel! Rudy Maxa can also been seen hosting the television show “Rudy Maxa’s World” and the “Smart Travels” series on PBS, Travel Channel and AXS-TV. Robert & Mary Carey created the travel show in 2004. The Careys offer first-hand engaging insight into culture, entertainment, luxury and business travel, food/wine, theater, museums, sports, outdoor activities, and family travel. In 1990 started hosting, Talkin’ Pets. 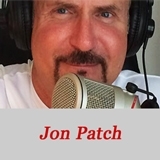 The largest and longest running pet radio and internet show in the country. A graduate of Penn State University. My one true passion in life is to help to educate the world through interviews with authors, foundations and organizations like the ASPCA, LCA, HSUS, AHA, WSPA on the ways to make this world a better place for all animals and mankind. Carl Amari is the Founder and the Host of Hollywood 360. Amari spent 20 years licensing more than 60,000 original radio programs from the estates of the creators. CD collections of these golden-age radio dramas are sold in retail store chains everywhere. Lisa Wolf is co-host of Hollywood 360. She interviews actors, writers, producers and directors in her “Celebrity Interview” segment. Michael Gastala is the executive producer of Hollywood 360. With several years of experience in a wide range of media, he is also the sound engineer at Falcon Picture Group. Mike Gallagher is one of the most listened-to radio talk show hosts in America. 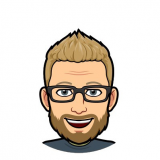 Clayton Nolen is our weekend host of our local Gospel Show on Sunday mornings. A local community leader, Clayton stirs up the holy spirit in you each Sunday morning with the best in Gospel Music! Email me at kofmgospelhour@gmail.com if you would like further information.